A historic El Nino system could bring a lot of rain to the state, but California officials believe it could be too much. They're now getting ready for worst-case scenarios. Emergency officials say California faces many challenges due to its elevation range, variety of topography and climates. Wildfires bring an added complication because they create debris for mudslides and landslides in heavy rain. 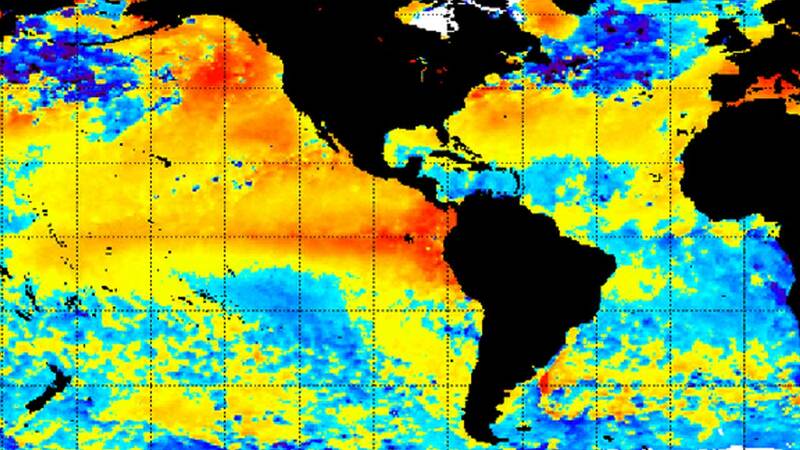 National weather experts say they won't know until early fall if this year's El Nino will be strong enough to bring intense rain storms. "In the elevations, higher elevations, you're certainly looking at snow and slurries happening. You're going to have a different type of debris flows, possibly land collapses because the ground just wasn't used to the weight of the snow," Officer of Emergency Services spokesperson Brad Alexander said. State emergency officials say they have already begun the process of talking with local and state agencies so that all are on the same page in terms of procedures. They say the faster their response time to events like floods, the more they can contain them. For more weather stories, click here.